Dopamine is a neurotransmitter that promotes enjoyment and interest in life. 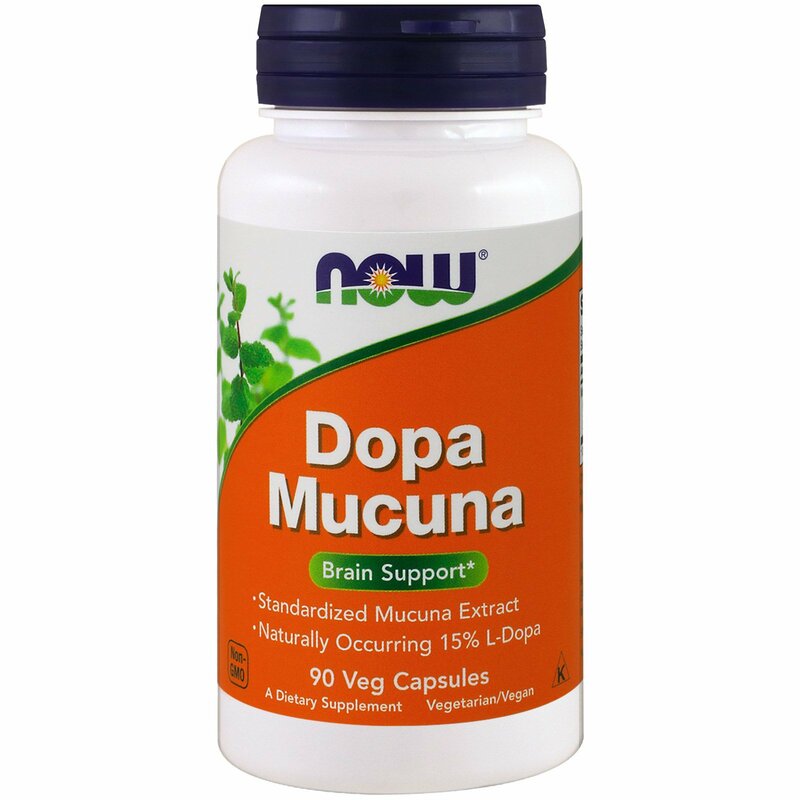 With 15% L-Dopa (the immediate precursor of dopamine), NOW Dopa Mucuna helps the body with what it needs to make this important neurotransmitter. Mucuna has been used in the traditional Ayurvedic system in India for thousands of years. 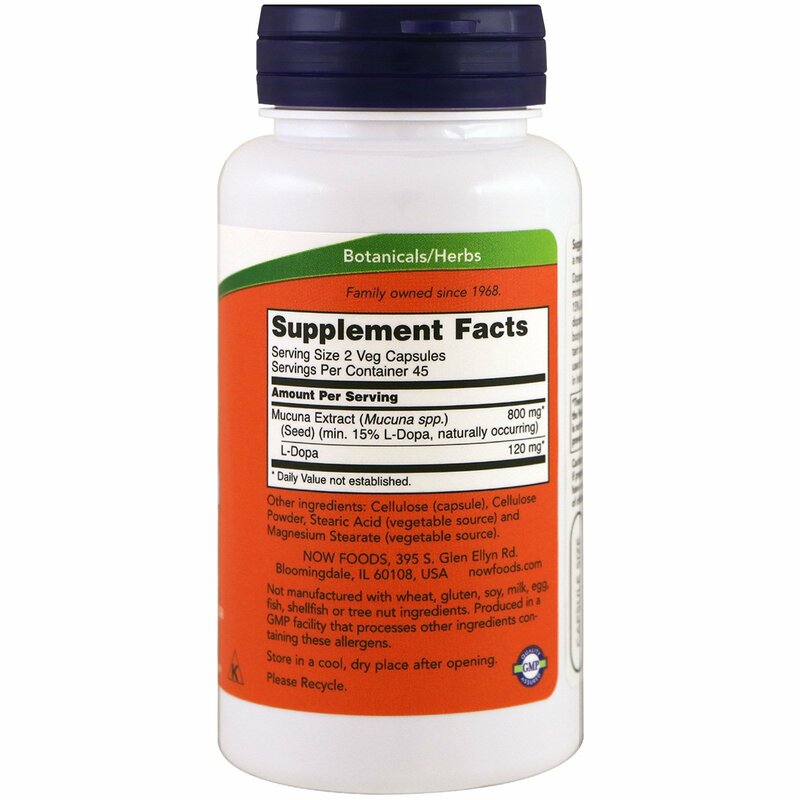 Take 1 to 2 capsules with a meal. Best when taken early in the day. 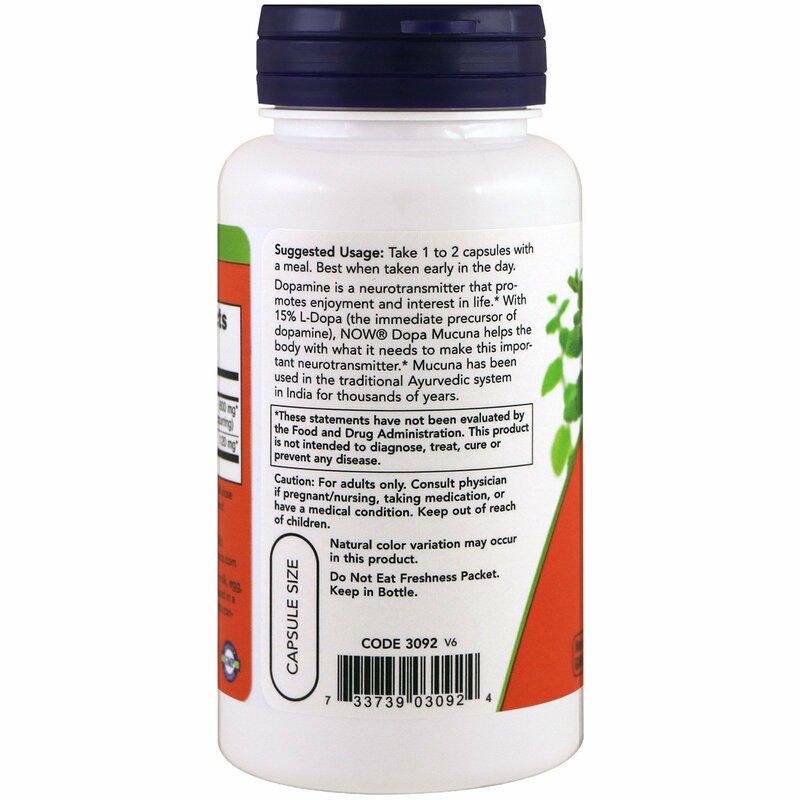 Cellulose (capsule), cellulose powder, stearic acid (vegetable source) and magnesium stearate (vegetable source).